﻿﻿﻿﻿﻿﻿There's just something about a full white/cream ensemble which oozes a blasé and nonchalance that an outfit of mixed colours and textures could never wish to posses. I absolutely adore this trend; the versatility is incredible, evidently through the stark example of how on the one, extremely in need of a manicure hand, the lass in the pallazo pants looks like she means business and probably wouldnt raise any plucked brows in a board meeting on wall street (yes the board meeting would probably be of a fashion house but one in the same right) whilst on the other, the girl in the gladiators and windswept hair's super cool, more casj get up wouldnt look too overdressed taking a stroll in a park (again probably a trendy park in manhattan somewhere aha). Which proves this trend can pretty much be worn by anyone. Although, due to my self confessed extreme clumsiness I would fear; eating, drinking, travelling and lets face it when I'm concerned, breathing whilst sporting such an unforgiving colour for me it would no simple task but for those stylish ladies above it's proven quite effortless.Below Ive chosen just a few of my favourite all white High street pieces for some insparation. great post , I love white it looks so festive ! The fourth and fifth outfits are super cute!! Such a beautiful photos! Love! Maybe you wanna follow each other? Let me know! I really would love it! i'm always too scared to wear white - i feel like it's just tempting fate and i'll fall in mud or something stupid - haha. these outfits are beautiful though! I adore white it's simply perfect and the outfits you chose are amazing! These white on white outfits are perfection!! I don't usually like the "all white" but these are awesome! wow i love these looks!! What a lovely inspiration !! Been loving white clothes recently! I love these pictures their so chic and stylish! 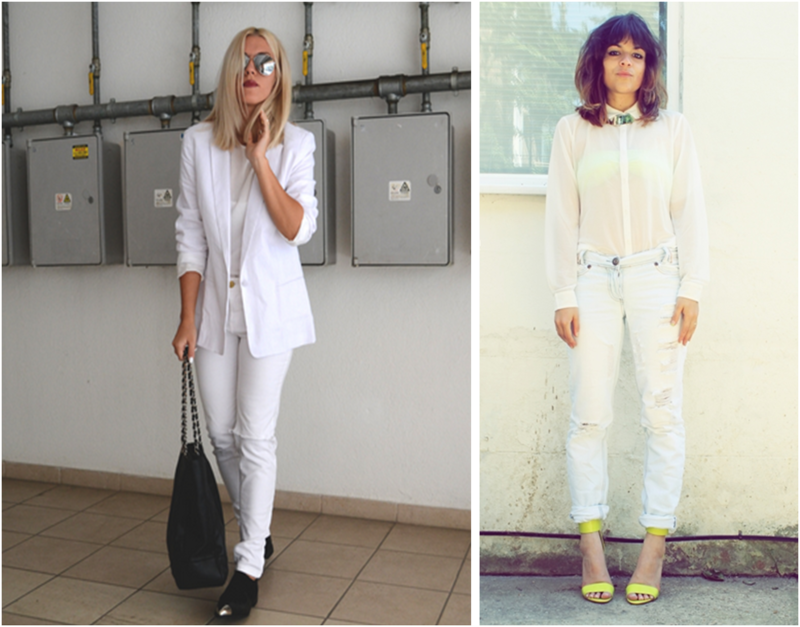 beautiful images, white is definitely the colour I'm looking forward to wearing during spring, and now! Love this post-great inspiration!! White is timeless, love it. New Post >>>DIY: How to turn homeware to fashionware?